My in-laws were in this past weekend for Mr. Prevention’s half marathon. I regularly use entertaining as an excuse to make recipes that otherwise remain on the “danger zone/must make” list of recipes I want need to try. Not surprisingly, dessert recipes are more popular than “healthy” options on any blog. And in the case of these truffles, I can certainly see why. When I saw them, I drooled on the keyboard…instantaneously. Biscoff is absolutely incredible and as I learned this weekend, thanks to my sister-in-law, Trader Joe’s sells a cookie spread that is very similar to Biscoff (!!). When I was in San Fran for the FoodBuzz Festival I ended up at the Biscoff store with this girl and this girl. I left with a Biscoff latte (oh-em-gee) and a jar of Biscoff spread. The Biscoff spread was later confiscated at airport security because it was “spreadable”. I almost hate to admit that I firmly prompted (yelled at?) SOMEONE from the TSA to enjoy the $8 Biscoff that was taken from me. Fast forward to about a month ago when I was walking through my Kroger, heading from produce to seafood, when I ran across a small display of Biscoff cookies and spread. Naturally, a jar made its way home with me and I enjoyed it on Whole Wheat English Muffin Bread for a solid week. Let’s just say…the jar should’ve lasted longer than it did. The jar I bought for this recipe stayed sealed until I was ready to make these. I am not to be trusted near an open jar of Biscoff and after making these for my in-laws, I bet they share a similar obsession with this addicting cookie spread. 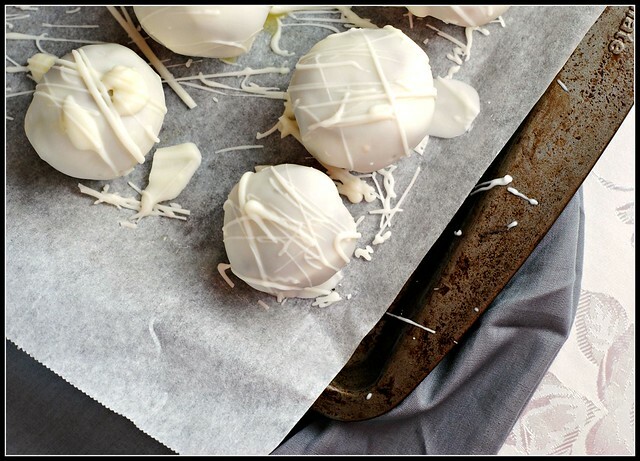 Let’s just say these truffles didn’t last past night #1, so Saturday I got the chance to whip up another dessert…that was a bit on the healthier side. But more on that another day. I looked through to recall the very few truffles I’ve made in the past and while there are none that fall to the back of the pack, these most certainly lead the pack. 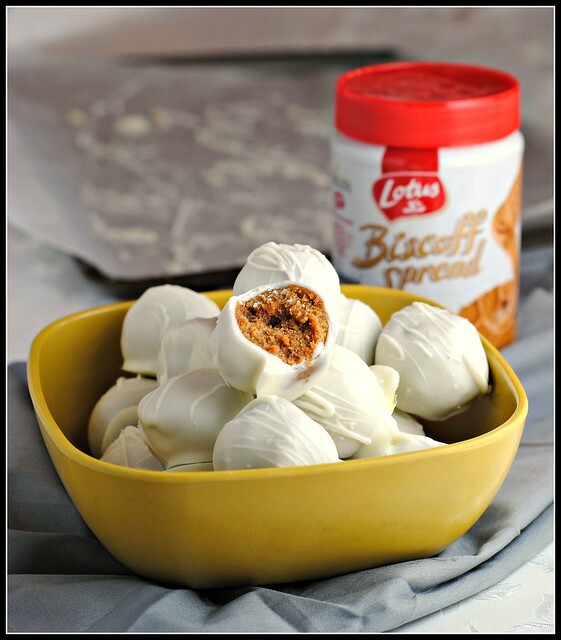 The Biscoff cookies are so buttery and rich and when you add Biscoff spread and cream cheese to the mix, covered in white chocolate…I mean, c’mon. What’s not to love? I generally think of truffles as being a labor intensive dessert, but these were really very simple. A few whips around a stand mixer and some chocolate melting in the microwave and wha-bam. Done. And then…they’re gone. Because yes, they are that good. Beat crushed Biscoff cookies, cream cheese, and Biscoff spread until uniformly mixed. Roll into 1 inch balls and place on a baking sheet. Refrigerate for about 1 hour. Melt chocolate in microwave until just melted, checking every 20-30 seconds. 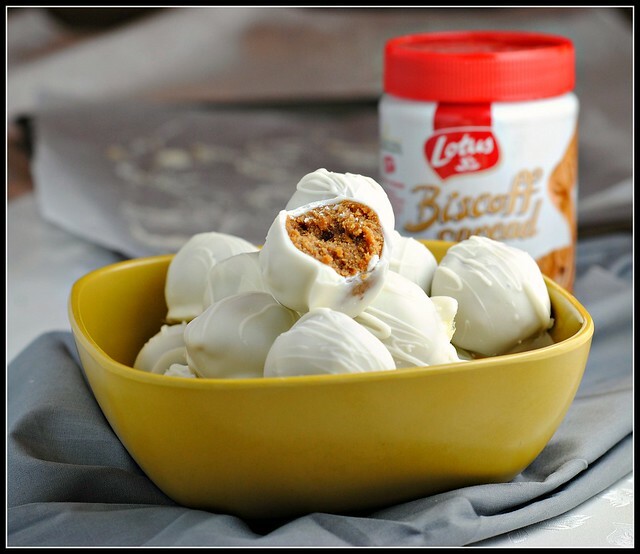 Roll each Biscoff truffle into white chocolate using a fork and place on a parchment lined baking sheet to set. Repeat with the rest of the truffles. Result: Uh-mazing. Make for a crowd – there’s likely no stopping after just 1! Sweet, salty, and a dense, crumbly texture with that hard, chocolate-coating shell. It’s hard to go wrong with truffles, but these are certainly some of the best. Enjoy! Annddd…now I want Biscoff for breakfast! Ahh! I ALWAYS try new recipes when people come into town. Because yes- I have a “must make” list that needs an excuse to do so. And those look amazing! I actually just bought the TJ Cookie Butter again to repeat a cookie recipe with it. I needed something to send out to a friend about to have her baby, and the cookie butter cookies always get rave reviews! We must be on the same brain wave or something because I’ve been dreaming of these for weeks. I love crushed cookie truffles! Have you ever tried it with NutterButters? Pure bliss! These look insanely good, Nicole! I’m on a huge speculoos cookie spread kick (so far Wafels & Dinges is my fave) and I currently have a jar of both crunchy Biscoff and TJ’s Cookie Butter opened. 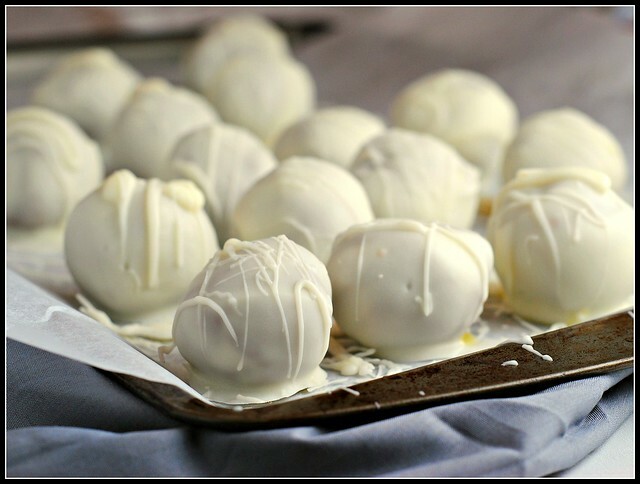 I might have to make these truffles soon =). I seriously have been craving a biscoff latte since that one we had in october, is that weird? love these! I made these at Christmas and gave them out in tins to our neighbors. Big hit! It was a dilemna between white and dark chocolate. I ended up using dark, but I’ll have to try white next. I don’t know if I shold call it a perk or a drawback of my hubby’s job, but we tend to have a lot of Biscoff cookies in the house. What? They confiscate ‘spreadables’ at airport security now? Ugh, how ridiculous. I know that nutella is a bit more of a ‘safe’ food for you (relative to biscoff, I mean). I’ve made “ferrero rocher” truffles before which are really good and quite tasty. The centre is basically a ball of nutella and butter mixed with rice krispies. 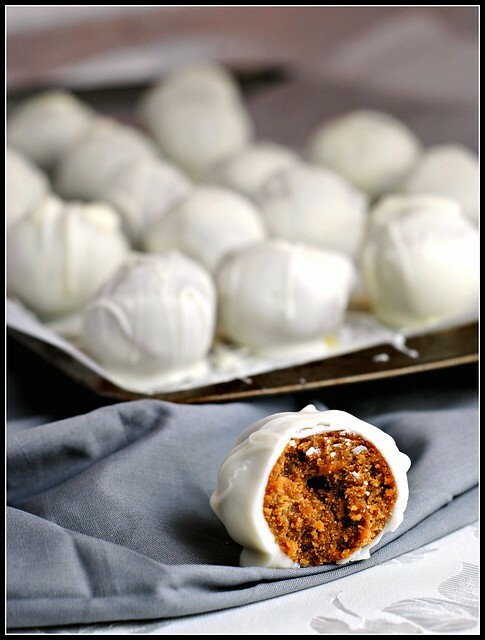 You shove a little hazelnut in the middle and coat the ball in chocolate. It’s not exactly like a ferrero but it does have the same sort of vibe. Oh myyyy — these look delicious and addicting!! I recently got into the Biscoff spread too – now I have an excuse to pick up another jar! I have never tried Biscoff, but have heard it is just delicious!! I don’t think I could be trusted with an open jar of it either. Ahhhh, LOVE biscoff. I always ask for extra on our plane rides– no shame 🙂 These look awesome! I’ve heard nothing but good things about biscoff. I need to find some! Oh em gee, I just found this spread in my favorite grocery store here in Oklahoma. We’ve gone through a jar in one week and are on our second jar ( I do have a husband and 2 kids helping ha ha ). 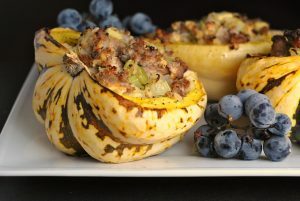 This recipe looks awesome, can’t wait to try it. I too need a special occasion to make them though! LOL, I do the same thing and go hog wild making fatty sugary stuff for parties and company. I just do NOT need stuff like this hanging around waiting for me to eat it. However, I’m not waiting for a party to make these. I will probably keep a few at home and give the rest to my lucky co-workers. Thanks for sharing. Biscoff is everywhere right now–I need to jump on the bandwagon. I just saw a recipe for caramel Biscoff sauce. Wha?? I think I would love these! Thanks for sharing the recipe! I may be the only person on the planet who just doesn’t love Biscoff spread! oh I would be so mad if that happened at the airport! glad you found these ingredients though- this looks incredible! I made these for my wife for Mother’s Day. O M G !!! Was the best way to sum up her reaction. Looked pretty as I mixed them in a bowl with giant strawberries. These are insanely good and will certainly represented at Christmas time on the tray. 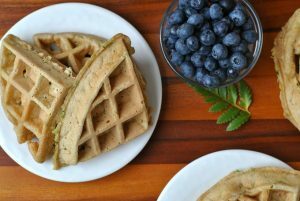 Oh man- these look amazing, Nicole! I am definitely bookmarking these! I have made many batches of these this month! I can’t seem to make enough for people! Thank you for the recipe! they love them!